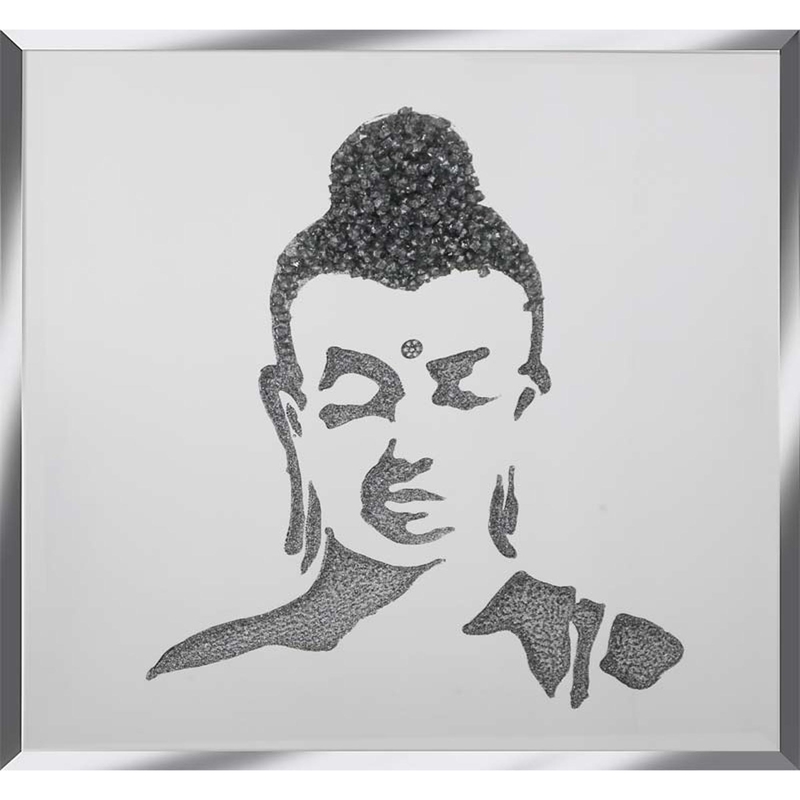 Give your home some culture with this stunning and traditional Silver Glitter Buddha on Mirror. The perfect piece to add more style and character to your home. Also this piece was hand finished in the UK and comes in set sizes, although custom sizes can still be made and with brackets already attached its easy for you to fit this piece in your home. This piece wont fail to impress.